My son was home from college and was anxious to see what was going n with the new CRF150R (that doesn't run), so we started ripping it apart. 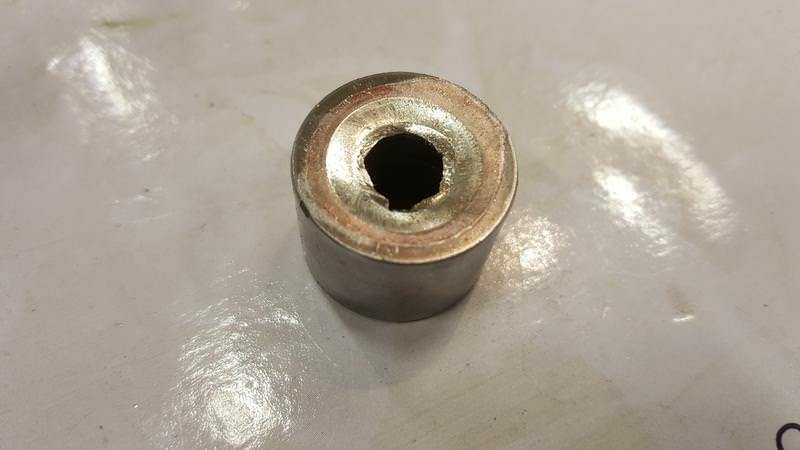 We did figure out that when the cam slipped and the timing went off the intake valve stem got punched up thorough the tappet and into the cam, where it ground the cam lobe down. 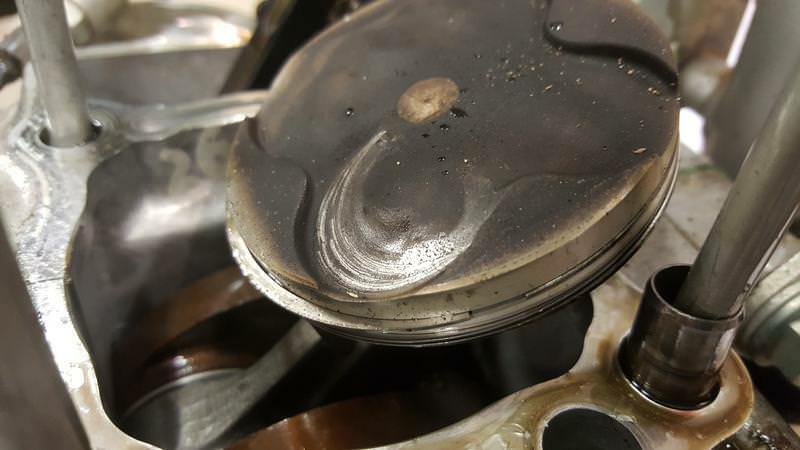 Not sure why the other intake valve didn't do the same, but everything there looks fine. The kid that sold it to me probably knew things were a lot worse than he let on, but I did get it for about 1/2 of a regular price so I can't complain too much. Overall not as bad as it could have been (but it ain't running yet...). I realize that is is the Christmas season and all, but, is it running yet? 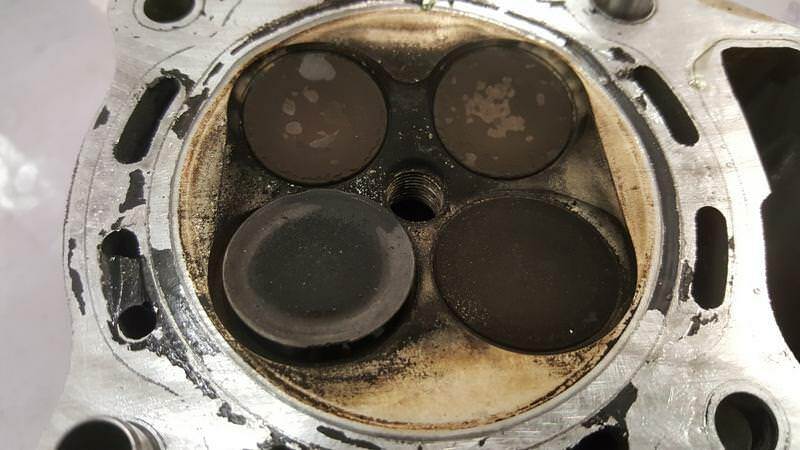 The head is at a local race shop getting the valve seat reground for the new valve, but there may be other issues to deal with as well. Not going to be cheap, easy, or quick. Had to order another intake valve, both intake springs, and have the seats cut, but the head is now good as new. Installed the new piston and rings and have the head torqued down. Waiting to have the new cam and sprocket hub pinned before installing the new cam to prevent this from happening again. Just completed the CRF150R top-end rebuild. Assembled the engine and fired it up the other day, and it ran, but not well. We ran it a bit and pulled the valve cover to re-check the valve adjustment. 3 of 4 valves had changed, so we needed to get the proper shims and reset them. When I purchased the bike the owner (kid) said it "had been sitting a while" and wouldn't start - which was a half-truth to say the least. After pulling the carb and not finding debris or varnish in the floatbowl, I gave it a quick cleaning and reassembled it. After checking it closer today we found the Pilot Jet was obstructed. 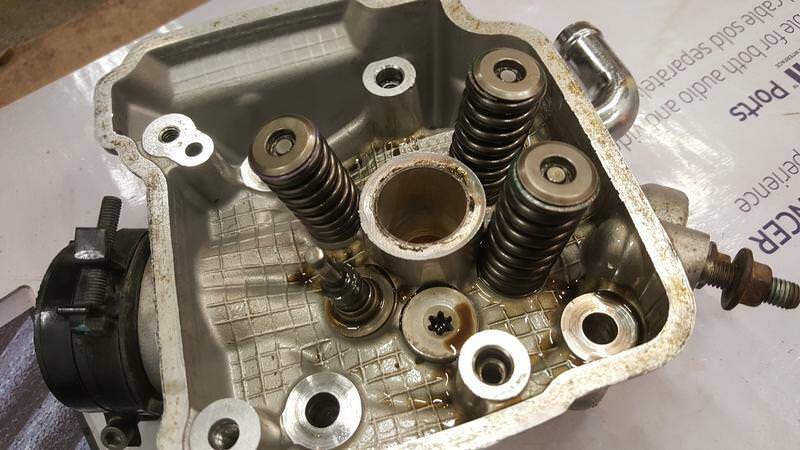 Removed and cleaned it, set the valves, and it fired up first kick and idled decent. It still needs a few more parts, but it's together and ride-able. It just left in the back of my son's pick-up. He is planning to ride it on the dirt a bit and eventually set it up for Supermoto competition. 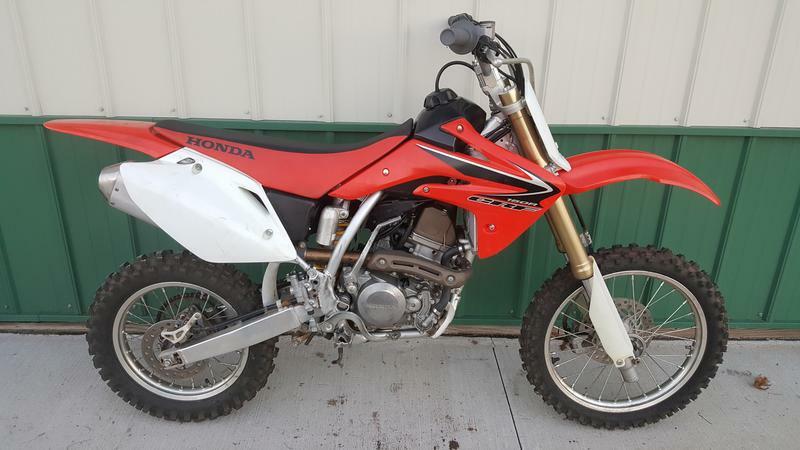 Got the CRF150R all back together, with new tires and chain/sprockets, and finally took it for a spin! The thing is a monster for a small bike. You can't believe how powerful it is for just 150 ccs. My oldest son has been riding a 200cc KTM 2-stroke, and he was shocked at how fast the 150 is. Not a trail bike by any means, and likes to be WOT as much as possible. He plans to Supermoto race it, but for our normal riding it would be too much of a handful to be fun.